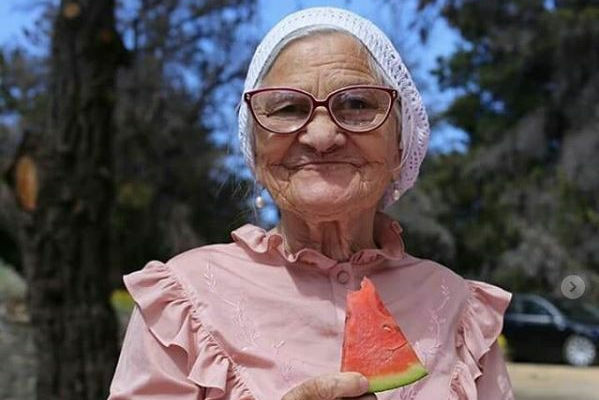 Babuska Lena is a 91-year old Russian from the Siberian city of Krasnoyarsk, and an international Instagram star thanks to her inspirational travel exploits. Elena Erkhova now has over 73k followers on the social media account she uses to document her global travels to locations such as Thailand, Spain and the Dominican Republic. Alena then worked as a harvester near Orenburg on the Ural river near the border with Kazahkstan. It was here she met her future husband, but suffered a miserable marriage due to his excessive drinking and abuse. Alena eventually left, taking her daughter with her to Siberia where she has lived ever since. Although she travelled around Russia in the 1970s, and to a few overseas visits to the Czech Republic and Germany. It was not until she was 83-years old that she became a serious globe trotter. Elena rose to fame a few years ago when on a solo trip to Vietnam she decided to use Instagram to post her holiday snaps. This led to an engaged and loyal band of followers who keep track of her adventures. Having worked all her life she now saves money from her pension to fund her travels, and also uses funds from selling flowers and knitwear near her home. Incredibly she speaks only Russian, but manages to communicate on her solo journeys using experiences and the international languages of kindness and respect. This brave lady, young of heart, and free of mind is an inspiration to us all. She attributes her relentless energy to never slowing down, and not allowing herself to become sedentary. We love Babushka Lena, and we hope to enjoy her Instagram from many years to come. Here are a few of our favourite posts from her account (babushka_1927). We hope you enjoy Babushka Lenas Instagram as much as we do. If you would like to add any comments, please feel free to do so below.